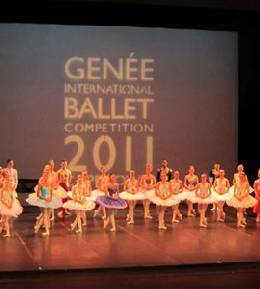 The 2011 Genee International Ballet Competition was an eye opener and a great and unforgettable experience for me. It was more than just a competition. Throughout my stay in South Africa, I got to know many wonderful people and received training and tutoring by some of the top teachers in the world. I feel very humbled and honoured. It took a total of 16 hours to get from Hong Kong to Cape Town. Not forgetting the 6 hour time difference, and waiting for my teacher and buddy Amellia to arrive from Kuala Lumpur it was amazing how we got out of bed and into the studio the very next morning, I guess it was pure excitement and the flow of adrenaline that kept us going. We had to learn a new 21st Century choreographic work to be performed at the semi finals. This year's commissioned choreographer was Kirsten Isen-berg. I was really excited to see what it would be like. It was a very lovely piece. The most challenging part about this piece was getting the timing and musicality on the beat and most of all the interpretation of the woik in which she, Kirsten allowed us a lot of freedom to make it our own. We were coached by Christopher Hampson and Lynn Wallis for our prepared 19th century variation and 20th century variation respectively. Our coaching classes were from 9.45am-5pm daily.. Everyone was a little wobbly during on the first day as many of us hadn't danced for a few days prior to arriving in Capetown. I loved Lynn Wallis' classes as her method of teaching is really interesting. Classes with Christopher Hampson were really tun but tiring! There would have a free slot a day, and one would find most of the competitors holed in the studio practicing or just stretching. The weather in South Africa was really cold. I wasn't used to dancing in cold weather. But luckily for us there were heaters in the studios which made it more bearable. I am really glad and privileged that I was able to participate in this prestigious event and would strongly recommend it to anyone who is qualified to do so. I wouldn't mind attempting it again next year as I had so much fun. I would like thank my parents for giving me this wonderful opportunity to participate in the Genee which was held in one of the most beautiful places in the world. I also want thank my teacher Mrs Suraya Kamil for pushing me to excel and challenge myself. My plan next after the Genee, is to attempt the Solo Seal examination and I am looking forward to working for it. 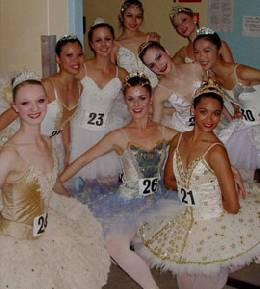 I am now currently pursuing a diploma course in classical ballet performance at the Hong Kong Academy of Performing Arts.